Just a mere two days from now, we will see the arrival of the latest release from the iconic NICK OLIVERI, ‘N.O. Hits At All Vol. 5‘. Arriving on October 12th from Heavy Psych Sounds Records, the latest installment of this ongoing series – focusing on compiling music from the numerous Oliveri related bands and projects – contains some absolute rarities. This is the newest, must-have gathering of tracks from one of rock and roll’s most beloved people. NICK OLIVERI is, of course, a multi-instrumentalist and vocalist well-known for being the bassist, and founding member, of Kyuss (under their original name of Katzenjammer). After playing on the landmark albums ‘Wretch’ and ‘Blues For The Red Sun’, Nick exited the band and continued to forge his musical legacy within an impressive list of acts that includes The Dwarves, Queens Of The Stone Age, Mondo Generator, Kyuss Lives/Vista Chino, Bloodclot, and The Uncontrollable, among others. Nick’s contributions as both a solo artist and frequent contributor to his friends’ albums and tours, including Winnebago Deal, Mark Lanegan Band, Masters Of Reality, Turbonegro, Moistboyz, and the all-star collaborative The Desert Sessions, is of monumental importance to fans of underground music. Heavy Psych Sounds Records recognized the need, and want, for a compilation album that gathered together many of the diverse Oliveri connected recordings. So, in January of 2017, the label released the first installment with the ‘N.O. Hits At All Vol. 1‘ album. The overwhelming response and ultimate success of that album has spawned several sequels, further ones compiling Nick’s music and now we have arrived at the newest edition, ‘N.O. Hits At All Vol. 5‘. The latest album amasses unreleased and exclusive works from The Dwarves, Mondo Generator, Death Acoustic, The Situationalists, Svetlanas, and more. Riff Relevant is honored to host the exclusive premiere of ‘N.O. Hits At All Vol.5‘ via our pre-release album stream below. Come immerse yourself in some of the best, punkest, desert rock-est angst ever set to musical accompaniment! 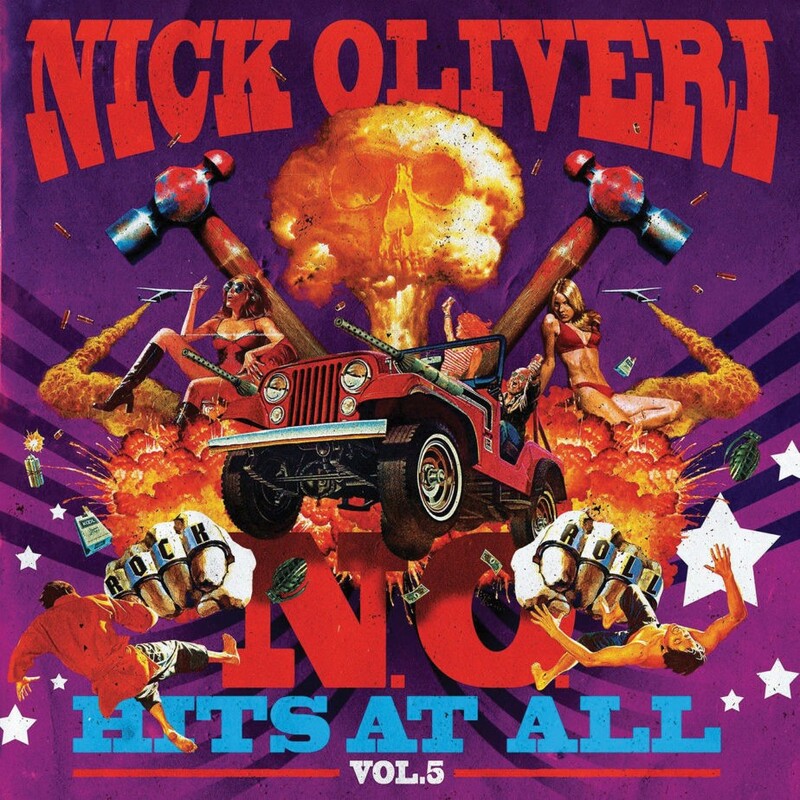 NICK OLIVERI‘s ‘N.O. Hits At All Vol. 5‘ from Heavy Psych Sounds Records is available in the following formats. Find purchase options HERE.